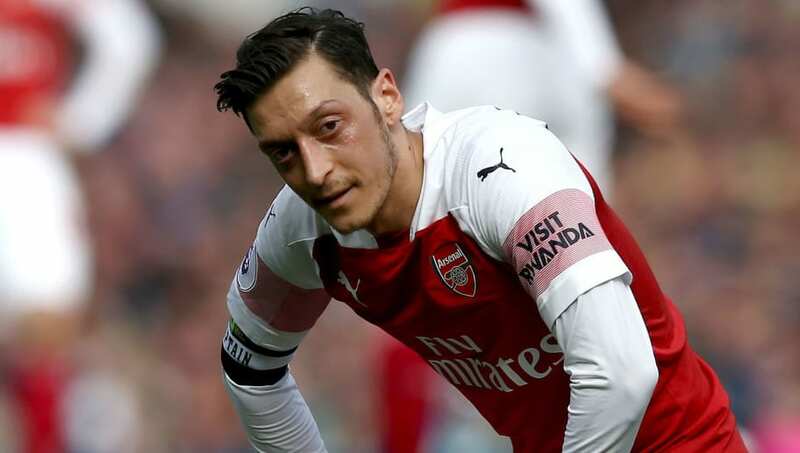 Legendary forward Arsenal striker ​Ian Wright has continued his criticism of Unai Emery's treatment of Mesut Ozil, revealing that he has found the situation "very uncomfortable". The former ​Real Madrid star has been struggling for form this season, netting only four times in 20 league appearances for ​The Gunners, but Wright has again defended him in the aftermath of the 1-0 defeat to Everton. Wright went on to say that the criticism ​Ozil has been receiving - particularly about his performances against the top six - is unwarranted. In spite of Wright's comments, however, after another lacklustre performance against ​Everton on Sunday - the Gunners ​suffering a 1-0 loss at Goodison Park - it's likely the Arsenal star will continue to receive criticism.